The 268 entries that are listed under ‘F’ in Museum Records 3 again demonstrate the variety of books that William Hunter collected. As in other sections of his catalogue, we find that Hunter’s interests in anatomy and medicine are well represented. Another theme that emerges in this section is travel and exploration. 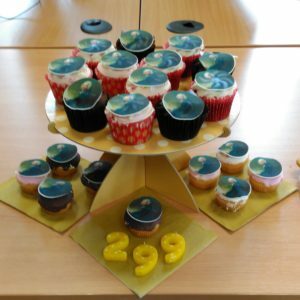 This project blog post was originally published on William Hunter’s 299th birthday (23 May) – we had special cupcakes to celebrate that and to mark the project’s half-way point. In case you ever need historical figure portraits to put on your own cupcakes, the Hunter decorations came from My Cupcake Toppers, a company in Lanarkshire – not far from Hunter’s birthplace – that does exactly what its name suggests.